International BreastFeeding Centre | Why are breastmilk and formula not the same? International BreastFeeding Centre / English Blog / Why are breastmilk and formula not the same? Why are breastmilk and formula not the same? Is formula the same as breastmilk? There are many people, including many health professionals, who argue that there is no difference between breastmilk and formulas now that so many “improvements” in formula have been made and previously missing ingredients in formula have been added. However, at the biochemical level, formula is not the same as breastmilk; no formula is even close. If you take a look at a can of formula and the list of ingredients, it is patently obvious that breastmilk contains many times more “ingredients” than formula, important ingredients. Breastmilk contains living cells, stem cells, white cells, immune factors and antibodies which cannot be added to formula. And that’s just the beginning. As well, not on the list of ingredients on the formula can are undesirable ingredients such as unacceptable high levels of aluminum, arsenic and cadmium (see below). Most people would readily admit that powdered cow’s milk which is re-constituted with hot water is just not the same as fresh milk. But many people have an emotional need to believe that formula is just the same as breastfeeding. Formula and breastmilk are not at all the same, not even close. Formula company advertising has tried for years to convince parents, and health professionals, that their formulas are the same as breastmilk. 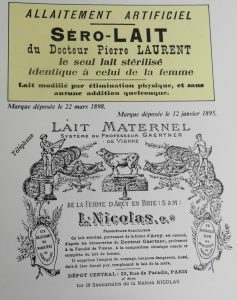 Photo 1 shows an ad from the late 1890s, which states, in French, “Artificial Milk Feeding”, but uses the word in French normally used for “breastfeeding” (allaitement). Sneaky no? Photo 1. The makers of this formula believed that their formula is exactly the same as mother’s milk. Really? Did they really believe it? And what else does it say? “le seul lait stérilisé identique à celui de la femme” : The only sterilized milk identical to a woman’s milk!!!! Incidentally, breastmilk is not sterile and contains many different bacteria. Studies have shown that several hundred different bacteria are normally found in breastmilk, though not all in every mother’s milk. This is important and not a bad thing, and in fact is good for the proper development of the baby’s microbiome (gut flora) and not something to worry about. There are many similar ads from that time and so, by the beginning of the 20th century, formula was being widely advertized as just like breastmilk. This misleading advertising has always been essential to formula company sales because otherwise it would be difficult to convince people to use formula, not only in situations where it might be medically indicated, but also used massively and unnecessarily as it is used now. Formula being “just like breastmilk” has even become a way for formula companies to compete among different formula brands using words like “closer to breastmilk than ever”. What does the next photo tell us? 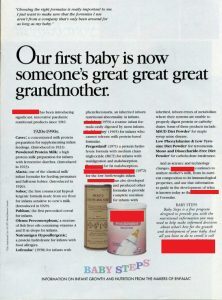 Before DHA (docosahexaenoic acid), and arachidonic acid (ARA), compounds which have always been in breastmilk, were added to formulas and only after this ad was published. Now that they have been added to formulas there is no evidence that they have the same effect as when they are in breastmilk. Because just adding stuff to formula doesn’t mean it works in the same way as the ingredient works in breastmilk. Before the protein content of formulas was reduced because of evidence that too much protein in formulas increased the risk of childhood obesity. However, even now, formulas still contain too much protein, compared to what the baby absorbs from breastmilk. The studies have convinced even the formula manufacturers enough that they have lowered the amount of protein in their formulas. But instead of saying “sorry, we didn’t know”, they use the lowered concentration of protein to say how wonderful the new formulas are. Before nucleotides were added to formula (they made a big deal out of this too in the 1990s, though the importance of nucleotides in formulas has yet to be shown to do much of anything at all). Nucleotides have always been in breastmilk. I recall a meeting at the Hospital for Sick Children where one of the pediatricians, a specialist in infant nutrition spoke about the importance of nucleotides in the formulas. When asked by one of the pediatricians if nucleotides were really important additions to formulas, he stated that definitely, very important, implying it was a revolutionary change. And why do we not hear about nucleotides in formula now? Basically, because the revolution was a bust. Before oligosaccharides, the much-vaunted prebiotics, were added to formulas and that formula companies made such a big deal about in the last decade. 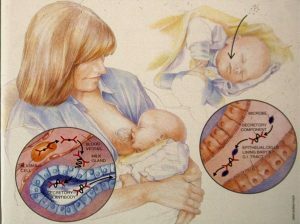 Oligosaccharides have always been in breastmilk. Before probiotics were added to formulas and which mothers are buying by the handful to give to their babies. Breastmilk have always contained probiotics. Before most “special formulas” were made for things like spitting up and “allergy”. Think about what this means. It means that formulas that were touted as “just like breastmilk” in the 1890s as well as 1990s were “improved” by all sorts of changes since then. It means that if these changes were so important to babies’ health, then what about all the babies who received “unimproved formulas” all the way back to your great great great grandmother’s time? These formulas were inadequate, likely even harmful. And what about all those dozens, perhaps even hundreds of other compounds in breastmilk which have not been added and which are unlikely ever to be added? And those compounds yet to be discovered? Breastmilk is a very complex, living fluid, the ingredients of which interact with other ingredients in breastmilk to improve the absorption of desirable ingredients, to augment immune function, to decrease inflammation, to help repair damage to cells and much more. And we are just beginning to understand how complex, as new ingredients are discovered and how they interact is worked out. For example, everyone seems to know there are antibodies in breastmilk. But there are lots more immune factors in breastmilk than antibodies. And the immune factors interact with each other, work together, to help protect the baby from getting sick. Yes, it is true, every mother makes milk which is different than any other mother. That is because, like all physiological fluids (blood, for example), milk varies from person to person and from one day to another day, and even during the same day. As an example, the amount of sodium in your blood may vary normally quite widely, normally, by as much as 15%, depending on how thirsty you are, how much sodium was in your lunch and other factors as well. That’s just one example. We know also that colostrum, the first milk, is very different from the later milk, the milk we seem to consider “real” breastmilk. Very different and it even looks different. Yet formula companies and many doctors tell us that formula is a good milk for babies to drink during the first few days. Nobody seems even to question this assumption. And in quantities that far exceed what the baby would get from the breast. More is not necessarily better. Aside from the much-heralded nucleotides, which play only a very minor role in protecting the baby against infection, formulas contain nothing else that protects babies or toddlers against infection. Antibodies are only one of many immune factors present in breastmilk that are not present in formulas. Breastmilk contains lactoferrin that is so important to immunity that the formulas are jumping on the lactoferrin bandwagon to discover how to include it in their products. And breastmilk also contains the following immune factors: lysozyme (and enzyme that attacks bacteria and kills them by destroying their cell wall), mucins, lactadherin, bifidus factor and many others. And probably many others are yet to be discovered. These immune factors do not just sit there, they work together, in beautiful harmony, like the instruments in a symphony orchestra, in reaction to the various bacteria, viruses and funguses to which the baby is exposed. This is targeted immunity, very specific immunity to what is in the baby’s environment, which, of course, includes the mother’s environment. Even if the immune factors could be added to formulas, they could not “cooperate” as they do in breastmilk. They would not be able to react to infection, because it’s the mother, through her breastmilk who produces these immune factors in response to infection. Breastmilk is a living, dynamic fluid. Breastmilk contains alpha lactalbumin, which, in the presence of fat in the baby’s stomach, is changed to HAMLET (human alpha lactalbumin made lethal to tumour cells), no relation to the Prince of Denmark, which exercises broad anti-tumor activity. And breastmilk varies from morning to evening, from day to day, from week to week. Because of this, it will never be duplicated by any formulas. Furthermore, breastmilk is full of anti-inflammatory factors, which decrease the inflammatory reaction in the baby. Inflammation can cause tissue damage and inflammation occurs as a result of the “battle” of immune factors against bacteria or viruses. In addition to the anti-inflammatory factors and the huge numbers of “good” bacteria in the intestinal tract of the breastfed baby, breastmilk helps prevent this inflammation which normally would occur when immune factors fight off microbes. In this way, breastmilk decreases the risk of tissue damage of the intestines, and probably one of the reasons breastfeed premature babies are less likely to get a serious, potentially life-threatening condition called necrotizing enterocolitis. There are dozens, if not hundreds of immune factors and other important components in breastmilk that are not present in formulas. Just to mention two more; one, an important fairly recently discovered immune factor called milk fat globule membranes. Oh, this is hot stuff and the formula companies are working feverishly to include milk fat globule membranes into their milk. If they manage, they will tell us how important this immune factor is, hoping we will forget that all the other formulas before the new one didn’t have milk fat globule membranes. And the other? Stem cells! The mind boggles thinking how stem cells in breastmilk could be used to help in clinical medicine. See my article in Scientific American from 1995. The article explains how breastfeeding protects babies against infection and why it is important to keep babies breastfeeding when the mother has an infection, including the common infection I get emails about all the time, methicillin resistant Staphylococcus aureus (MRSA). Yes, the sick mother protects her baby if she continues breastfeeding. The following photos from my article show how breastfeeding protects the baby when the mother gets an infection. 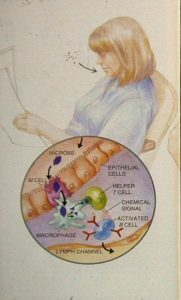 Photo 3 : When a mother is exposed to a virus or bacterium, special cells called M cells absorb the bacterium or virus and send information to cells that will travel to the breast and start to add specific antibodies to the bacterium or virus to the breastmilk. Photo 4. Specific antibodies are secreted into the milk and the help to protect the baby against the very infection to which the mother was exposed. Are there things in formula that should not be there? Do humans ever make mistakes? Photo 5. When mistakes are made, it can be very serious for the baby. And arsenic in baby formula? 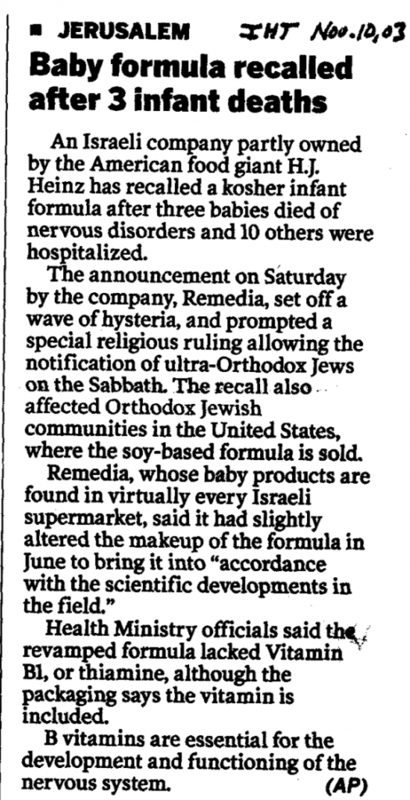 This story, much more recent than the story of babies in Israel, from October 2017, states that 80% of baby formulas in the US contain measurable amounts of arsenic. And cadmium as well, which is also of concern. And in December 2017, salmonella in formula resulting in a world wide recall of infant formula by the formula manufacturer Lactalis. So? Formula just like breastmilk? What an incredible statement. Anyone who says such a thing is either completely ignorant of the biochemistry of breastmilk and formula and doesn’t know what they are talking about or is plain saying nonsense for political reasons. And if formulas and breastmilk are that different, then they have very different effects on the baby and the mother. Just pretending it ain’t so don’t make it so. And these differences do not make a difference for the baby or the mother? The studies do not prove there is a difference between breastfed and formula fed babies. What does that mean? Here is the truth: You don’t take the normal, the physiological and have to prove that it is better than the artificial. Formula feeding is an intervention, and and in medical terms, you have to prove an intervention safe and of benefit before it can be recommended. So yes, what about the women who can’t breastfeed exclusively? In fact, most women these days “cannot breastfeed” because they are undermined in their ability to do so. Hospital routines around labour and birth, separation of mothers and babies, early introduction of bottles and poor advice from health professionals all together result in so many mothers who “cannot breastfeed” and are disappointed in breastfeeding when they should direct their disappointment at our medical system. If they had had normal births, and good help from the beginning, most such mothers would be very successful at breastfeeding. For the above reasons, breastfeeding has a reputation of being difficult, tiring, painful, when, in fact, it should not be difficult, tiring and painful for most mothers. When breastfeeding works as it should, or should have been, it is easy, relaxing and painless. And mothers who cannot breastfeed because of certain infections or other diseases they might have? Mothers are frequently told this and many doctors think they are doing mothers a favour by giving them an excuse to stop breastfeeding. This is medical thinking all too often, that breastfeeding is a burden and mothers will appreciate being told they don’t have to carry this burden. Almost never do mothers need to stop for these reasons and had they had good help and encouragement from their doctors, they would not have found breastfeeding a burden. In truth, my dear doctors, most women do want to breastfeed and they are often prevented from breastfeeding by incorrect information on breastfeeding and illness or medications. Almost never do mothers need to stop for these reasons – HIV, for example, is no longer a reason not to breastfeed nor are many other viral or bacterial infections. Having a surgery is not a reason to stop or even interrupt breastfeeding most of the time. And mothers who cannot breastfeed because of medications they are taking? Only rarely do they need to stop because of medications they are taking and frequently it is possible when a drug truly is of concern, to suggest other similarly effective medications which are compatible with continued breastfeeding. But it is true, even if we had perfect labour and birth for every mother, perfect support immediately after the birth and continued support after the immediate postpartum period, some mothers, a small percentage, still would not be able to manage to breastfeed exclusively. And not all illnesses will allow mothers to continue breastfeeding and not all medications taken by the mother are safe for the baby. And some illnesses in babies result in their not being able to be breastfed, usually rare inborn errors of metabolism such as galactosemia with very low levels of infant enzyme. But most mothers and babies could avoid using formula if we concentrated on developing a widespread system of breastmilk banks so that every mother who needs breastmilk but cannot produce enough would have access to breastmilk. Every hospital should have a breastmilk bank just as they have blood banks. Don’t say it’s not realistic. If you had asked the same question in 1917 about blood banks, you would have been told it is not realistic to have blood available to everyone who needed blood. This is a question of whether breastmilk instead of formula is seen as a priority and whether we truly understand how different they are. When talking about women who “cannot” breastfeed, it is often not mentioned how little is done to help them with breastfeeding and to increase their milk supply. If a woman supplements, she should be told of all her options – not only formula but banked breastmilk and donor breastmilk so she can make an informed choice. Additionally, when supplementing in a way that does not interfere with breastfeeding, that is, with a lactation aid at the breast, the mother is still breastfeeding. It is possible to continue breastfeeding even when supplementing and when the baby begins to eat food to achieve a point at which supplementing stops and the baby is breastfed and fed food just like any other breastfeeding baby. And one more thing, last, but certainly not least. The act of breastfeeding is different from bottle feeding. Breastfeeding is a close intimate, physical and emotional relationship between two people in love. And for that, it is not necessary to have a full supply. For an interesting short film on how breastmilk is so different. Need breastfeeding help? Make an appointment at our clinic.